As I start my 24th year as an educator (12th year as an administrator), it is extremely exciting when I come across an idea that is truly inspiring as well as being one that I believe will help me be a better leader. 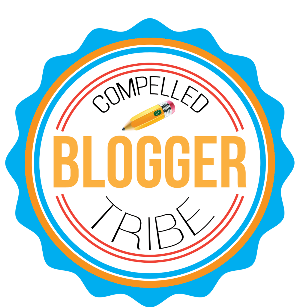 The members of our Compelled Tribe inspire me in different ways. 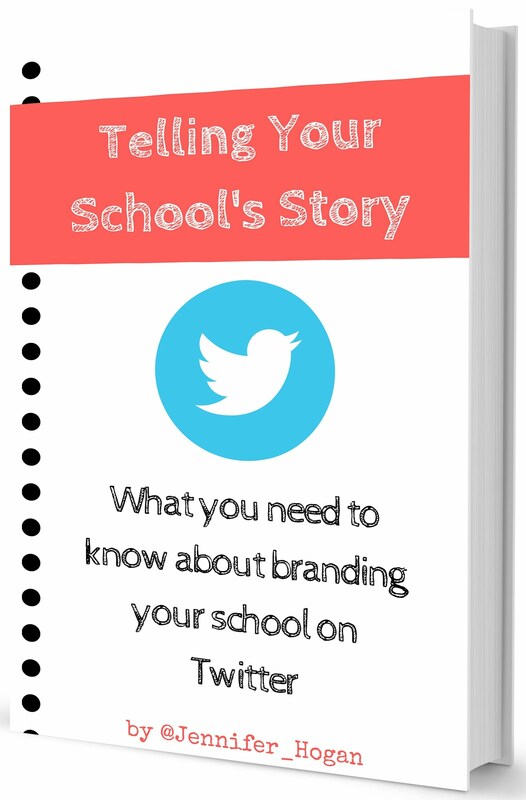 Their blog posts reveal their vulnerability, passions, stories, and their experiences. I learn from each of them! 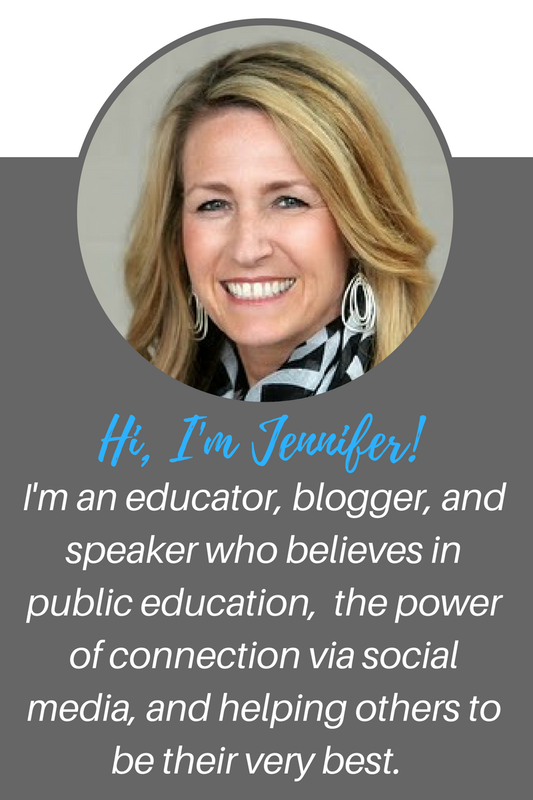 A while ago, I read a blog post by Arkansas principal Lindsey Bohler that got me fired up about the new school year! You see, I'm a big believer in relationships and teams. I also value feedback that promotes growth. These two reasons are why I love the #ObserveMe movement started by Robert Kaplinsky. Well, Lindsey wrote a blog post describing how she, the principal, was going to participate in #ObserveMe in her school! Wow! I knew that I wanted to do the same this year at my school. Lindsey shared in her post how she decided on her goals, and she also shared a copy of her graphic that she will post outside her office. I sat down with my favorite pen and a piece of paper and listed all the things I wanted to work on during the new school year. It was a long list, and paring it down to three focus areas was tough! It was a reminder of the exercises I had to do in graduate school, but this time I had a lot of leadership experience under my belt and it was awesome to go through the exercise. While I write my three words each year, I haven't written out my school goals in a while. (There's just too many! Ha!) Doing this was extremely satisfying and rewarding. I am very excited to start the new school year. My plan is to post my sign on my door to my office. I also will share my goals with the staff and ask them to give me constructive feedback. I've also asked the rest of our administrative team to give me feedback and join me in this adventure. I often say that "people learn more from what we do than what we say." I'm going to walk the walk and ask for feedback on my goals. I want to build on strengths and work on my weaknesses. 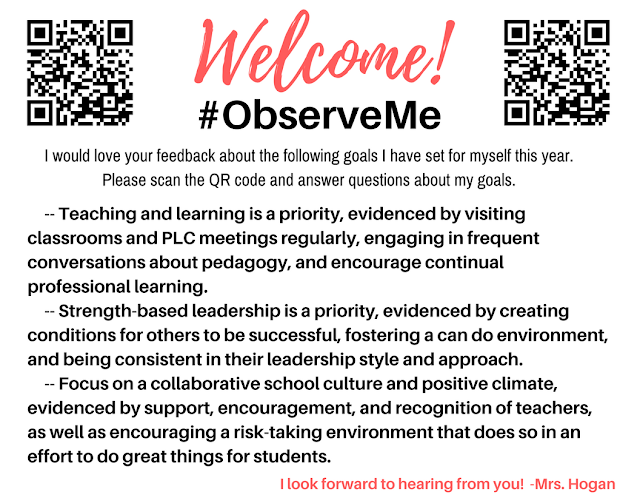 I can only do this when I get rid of my blindspots.. and I'm hoping that participating in #ObserveMe will help me with this. I thought it was important to model vulnerability and transparency in another way, and I also thought this may be a creative way to assist me on my leadership journey. Did I mention that it's scary? Did I also mention that I hope that the feedback I get is helpful and not hurtful? Don't teachers ask these same questions? 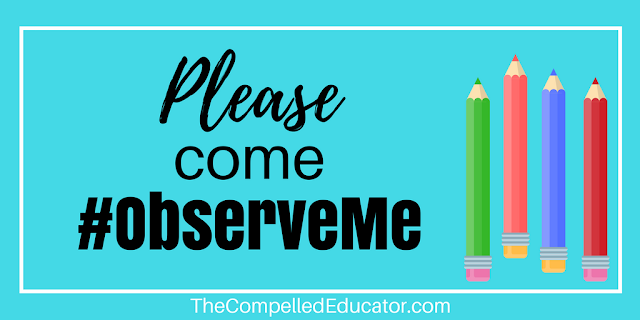 If you are a school leader and are doing this already or are going to join the #ObserveMe movement because of this post, I want to hear from you! Share in the comments or on twitter! This is a truly great idea. I loved being a Principal. Collegial conversation so important. Walk the talk is true, real & bonding. Bravo!